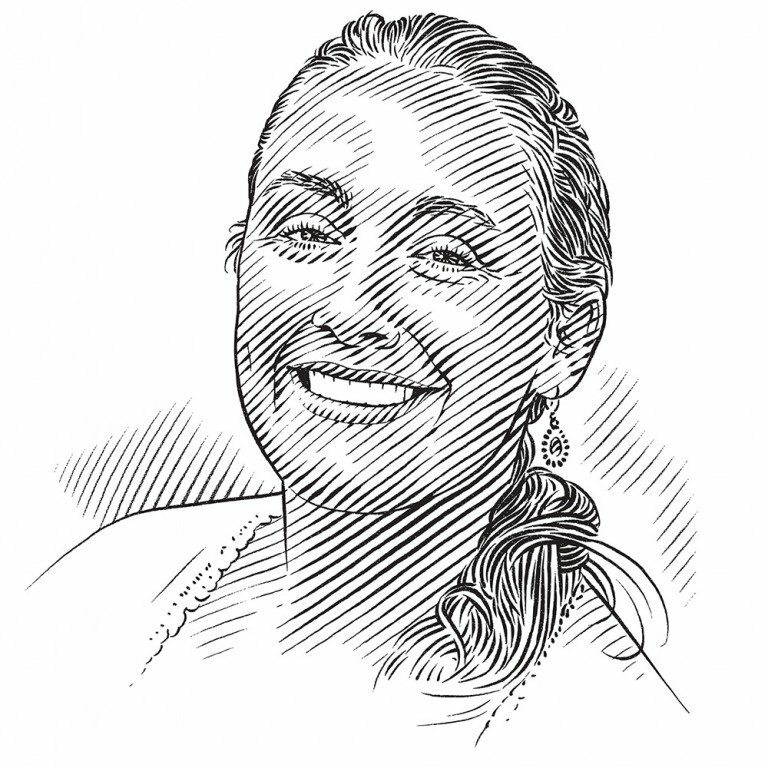 Abi March is helping to bring Lost World to classrooms across the Seychelles and in the process she’s introducing children to an underwater realm they have rarely seen before. The Island School Seychelles donated 25 copies of Lost World to all the public primary and secondary schools in the Seychelles earlier this year. As I turned the pages of the book, gasps of amazement came from my audience; for each new page they saw, they squealed in delight at the photographs. 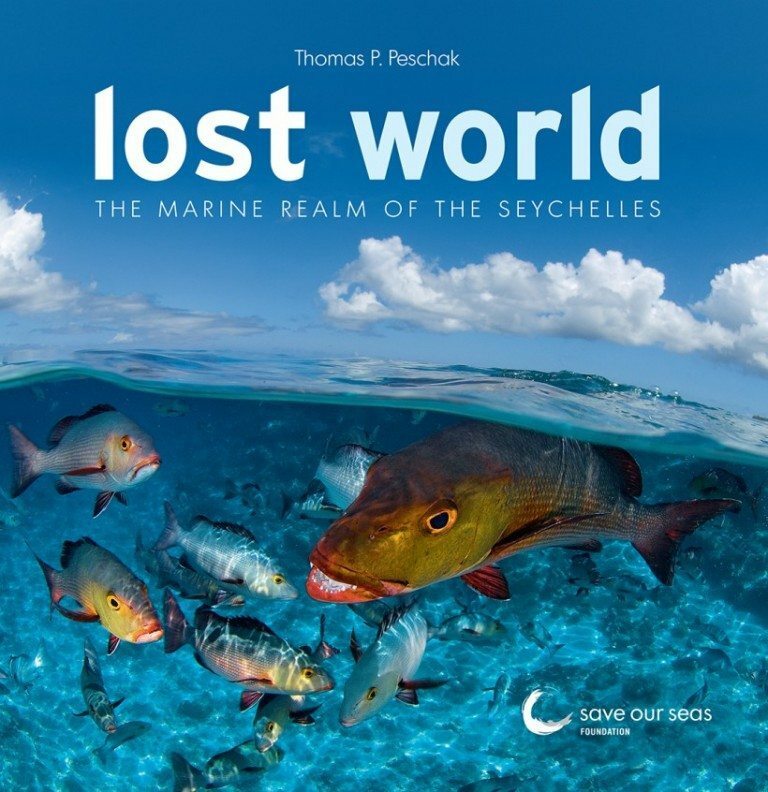 The audience was a group of seven- and eight-year-olds from a local primary school and the book that made them so happy was Lost World: The Marine Realm of the Seychelles by Thomas P. Peschak. Stunning images of ocean and coastal habitats in the Seychelles and the animals found there fill the book, with informative text alongside them. Words and pictures focus mainly on the Outer Island of Aldabra, a pristine atoll that, at 1,150 kilometres west of the Inner Islands, is far out of reach for most Seychellois. It is brilliant to see how Lost World brings the beauty of the Seychelles’ marine life right into the students’ classroom, making these distant islands and the underwater world around them far more accessible. For many of our future marine ambassadors, the book provides their first glimpse of the animals and habitats they will come to love and strive to protect. Earlier this year we donated 25 copies of the book to all the public primary and secondary schools across the Seychelles. In February, SOSF CEO Michael Scholl and I formally presented the donation to the education minister, Macsuzy Mondon. Mrs Mondon expressed gratitude for the gift and for the commitment of the SOSF and Island School Seychelles to bringing quality marine awareness to the young people of her country. The beauty of the granitic Inner Islands is on the doorstep for every Seychellois. Yet, even though the ocean covers 99% of the nation’s territory, people know far more about the terrestrial environment. Some years ago I visited the Biodiversity Centre on Mahé with a group of school environment leaders. I was amazed at their knowledge of every tree and plant we came across. However, talking to the same teachers revealed that their knowledge of the marine environment is not at the same depth. At the SOSF Island School Seychelles we are committed to raising awareness of sea and coastal life throughout the community. To do so we work a great deal with local primary and secondary students. However, we recognise that to reach more students, we also need to raise awareness among the teachers. Teacher training workshops are taking place regularly to instil marine education in the normal curriculum, and to ensure that the Lost World books are used efficiently. We want Lost World to be used in every classroom and seen by every student. Quite often beautiful books are kept hidden away for fear of little hands damaging them. We do not want these books to be confined to a locked room in the library; we want them to be pored over, the wealth of knowledge they contain to fill young minds. We want to encourage the teachers to take advantage of this valuable resource and share ideas of how Lost World can be used across the curriculum. So this term, project assistant Fred Hypolite, project advisor Abbie Hine and I are conducting professional development sessions with all the teachers at all the 34 public schools in the Seychelles. Once we have shown the book to the teachers, they gather in their subject or year groups and brainstorm how they could use it in their lessons. After each brainstorm session, we listen to the teachers’ ideas and share our own suggestions for how Lost World can be brought into different subjects. In science lessons at both primary and secondary levels, much of its content lends itself directly to the curriculum: classifications of animals, how they move and reproduce, food chains – the ideas from the teachers were plentiful. Likewise in history and geography: the images and text can give information about the first settlers and how and where islands are formed. In languages and art the book can be used as a source of inspiration for poetry, stories and paintings. Though both Fred and I are teachers, maths is not one of our subjects and when we created the presentation we struggled to come up with ideas of how Lost World could be brought into these lessons. However, the maths teachers relished the challenge and we were elated listening to one of them describe the imaginative ways in which he could use the book. When he’d finished, Fred led the whole room in a round of applause! As the teachers are the main contact the students have with environmental education, we feel it is important for them to be passionate about marine life so they will want to share their knowledge and experiences with their students. In order for them to immerse themselves in the underwater world, we are encouraging all teachers to join us for snorkelling sessions. Already they are signing up to participate, a decision no doubt influenced by spending a few hours with Lost World. We can’t wait for these teachers to discover the marine realm with us. The SOSF has also produced two workbooks aimed at secondary school students to accompany Lost World, one about Aldabra and one about the granitic islands. These can be downloaded from our website. We would like to thank the Ministry of Education, especially the Environmental Education Unit, for supporting our work with teachers and schools.